Nematocysts, or stinging cells, are used by jellyfish to deliver toxins into their prey. The stinging apparatus consists of a "harpoon" on a thread coiled inside the stinging cell, and attached to a reservoir containing venom. On contact with the victim, the stinging cell discharges its harpoon into the skin and injects venom. Each tentacle may be covered with millions of stinging cells, resulting in a large amount of venom being injected over a wide area. Discharged nematocysts of Chironex fleckeri, the Box jellyfish, showing the open "lid" of the stinging cell and the straightened "harpoon". Avoid swimming in areas where Box jellyfish are found during the jellyfish season (variable, but approximately September to March) and heed warning signs on beaches. N.B. avoid swimming alone or at remote beaches. Its venom contains lethal, dermatonecrotic and haemolytic properties in approximately the same proportions as Chironex venom, but the venom output of Chiropsalmus is much less (Barnes estimated in 1966 that the stinging potential of C. quadrigatus was approximately 10% of that of C. fleckeri), and the toxicity of the venom in mice (as tested by Freeman and Turner in 1972) was approximately one sixth of the toxicity of Chironex venom. 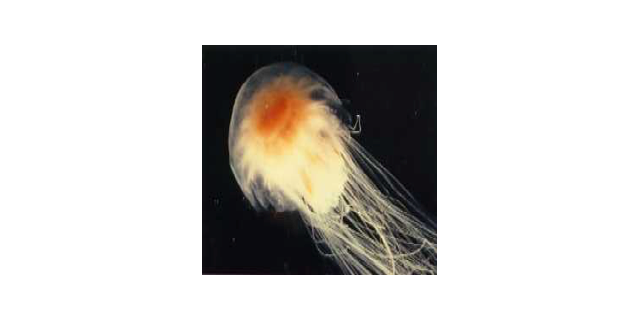 Box jellyfish antivenom has been shown experimentally to neutralize Chiropsalmus venom, but clinical experience is lacking. 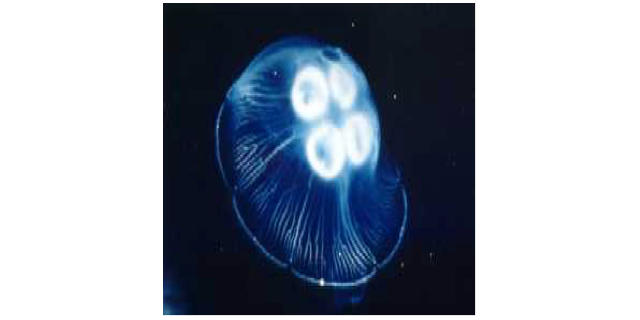 Carukia barnesi (the Irukandji) is a small jellyfish (~2cm diameter bell) responsible for an unusual and dramatic syndrome observed following stings in northern Australia, especially north Queensland. 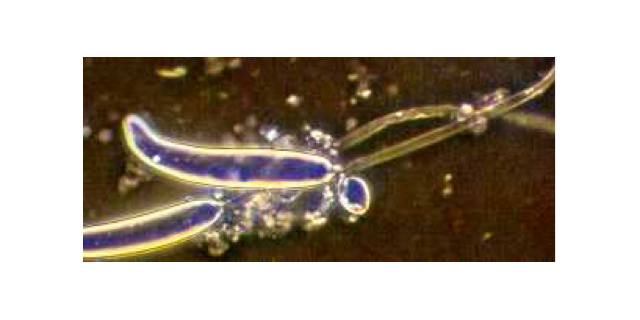 Unlike Chironex fleckeri, Irukandji are found mostly in the deeper waters of the reef, although they may be swept inshore by prevailing currents. Divers and snorkellers are particularly at risk. The sting itself is only moderately painful, with little associated tissue damage, but approximately 30 minutes later, the patient develops a complex of systemic symptoms including severe back and abdominal pain, limb or joint pain, nausea and vomiting, profuse sweating and agitation. No definitive treatment is currently available for the Irukandji syndrome. These small chirodropoid jellyfish (approximately 2cm across) have 4 tentacles measuring up to 30cm. 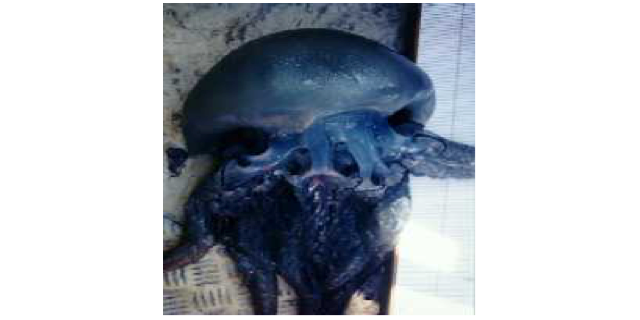 They are distributed throughout the world's warmer waters, and are often found in groups. Stings cause moderate pain for up to 2 hours, with associated swelling and redness. Skin changes may take several weeks to resolve, and pigmentation may remain for even longer. No deaths have been recorded, although an Irukandji-like syndrome has been anecdotally described. 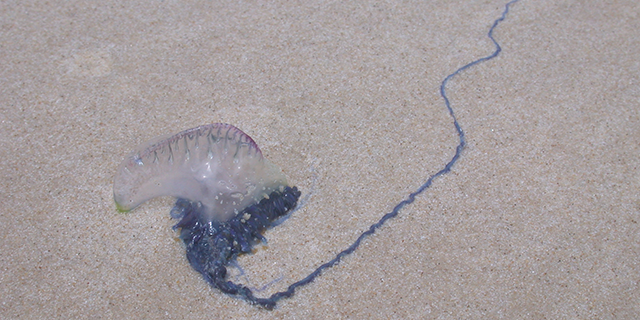 The Portuguese man-o-war or bluebottle, (Physalia sp. ), is well known throughout Australian waters (and both the pacific and Atlantic oceans) for causing painful stings. No fatalities have been confirmed in Australia. The float measures 2-15 cm. The main or fishing tentacle may be up to 10m long and is responsible for most of the stings. The larger Atlantic specimens probably represent more of a threat to human life. In human envenomation, pain is the most prominent feature, along with localized skin lesions with a "string of beads" appearance; discrete weals surrounded by erythema. Systemic symptoms are uncommon but may include headache, nausea and vomiting, abdominal pain and occasionally collapse. First aid consists of removal of the tentacles, preferably with forceps. Vinegar is not recommended. Analgesia may be required, although most stings respond to ice packs and/or topical anaesthetic agents. The venom contains lethal and haemolytic components and has been shown to produce nerve conduction disturbances, flaccid paralysis and smooth muscle contraction in experimental animals. Widely distributed throughout the world, in both tropical and temperate waters, this multicoloured jellyfish usually measures approximately 12cm across the bell. Contact with the tentacles or bell causes local pain. No deaths or serious illnesses have been recorded. These jellyfish have a flattened or plate-like bell, and multiple delicate hairy tentacles. The bell may be 30cm across in Australian jellyfish, and significantly larger in the cold-water Atlantic jellyfish. Widely distributed, and found in coastal waters throughout Australia. Stinging results in severe pain that may last for up to an hour. Nausea and abdominal pain sometimes occur, as do sweating, muscle cramps and breathing difficulties. No deaths have been attributed to this creature. 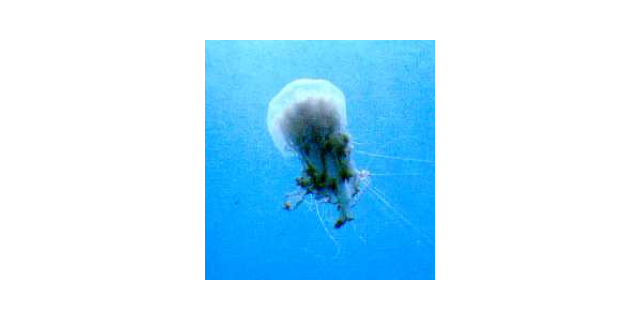 The majority of stings by these jellyfish result only in local pain and skin welts and erythema. Nausea, vomiting and headaches may sometimes occur. First aid consists of local application of ice packs or iced water, and supportive care such as analgesia as required.